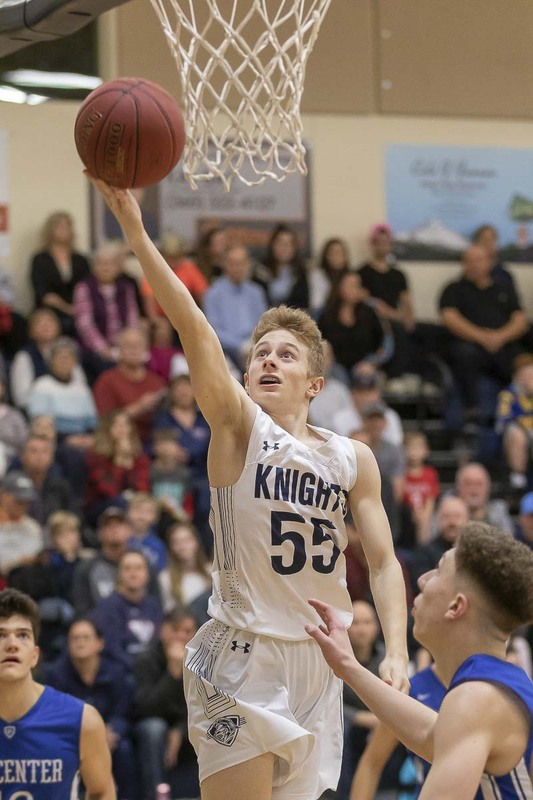 Bryson Metz scored 16 of his game-high 21 points in the first half to lead King’s Way Christian to a 49-39 victory over Seattle Academy Thursday at the Class 1A boys state basketball tournament at the Yakima Valley SunDome. King’s Way, now 18-8 on the season, will now advance to a Friday matchup against King’s in the semifinals. The Knights entered the state tournament as the No. 11 seed. King’s, which defeated No. 1-seeded Lynden Christian 73-50 Thursday, is the tournament’s No. 10 seed. Metz made all three of his 3-point attempts in the first half as the Knights led by as many as 12 points. That largest lead was 30-18 when Metz nailed a 3-pointer with 2:17 remaining in the first half. Seattle Academy (19-4) pulled to within five points at 37-32 with 2:53 remaining in the third quarter, but Brady Metz answered with a 3-pointer and the King’s Way defense allowed just seven points the rest of the game as the Knights secured the victory. King’s Way allowed just five points in the fourth quarter and kept Seattle Academy without a made field goal in the final 3:18 of the game. For the game, Seattle Academy made just 15 of its 55 attempts (27.3 percent) from the field. Bryson Metz made 7 of his 12 field goal attempts and four of five shots at the foul line. Brady Metz finished with 13 points. Kobi Cason had a team-high 10 rebounds for the Knights. Columbia River used a 20-6 advantage in the second quarter to post a 22-20 halftime lead over the No. 1-seeded Lynden Lions Thursday but the Chieftains struggled on offense in the second half were knocked into the consolation bracket with a loss. Columbia River, now 22-4 on the season, will meet Clarkston at 9 a.m. Friday in a loser-out game at the Yakima Valley SunDome. 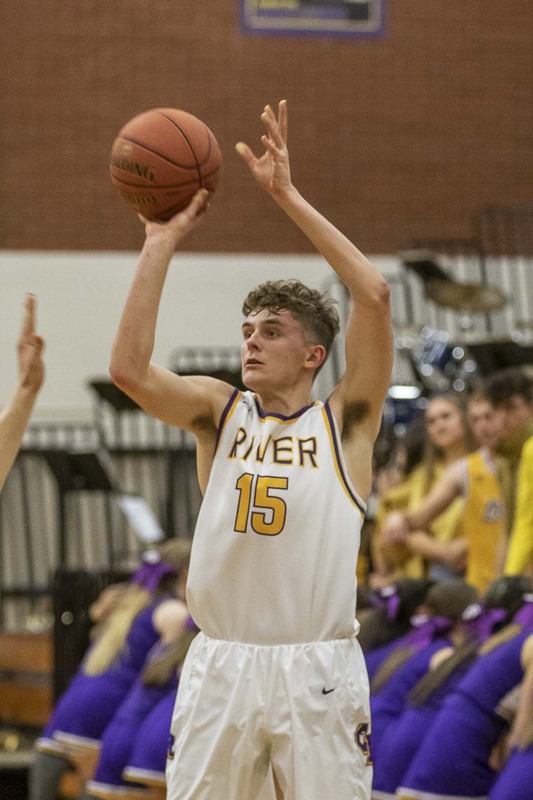 The Chieftains fell behind 14-2 in the first quarter Thursday, but Evan Dirksen scored seven points in the second quarter and Nate Snook added six in the period as Columbia River rallied to take the lead. Columbia River pulled to within four points, at 38-34, on a 3-pointer by Snook with 6:34 remaining in the game but that was as close as the Chieftains would get to the Lions (24-1). Snook finished with a team-high 13 points. Dirksen added 12 points, on 5-for-9 shooting.